We used to buy boxed hamburgers, but we realized we get more bang for our buck (and our taste buds) if we make them ourselves. 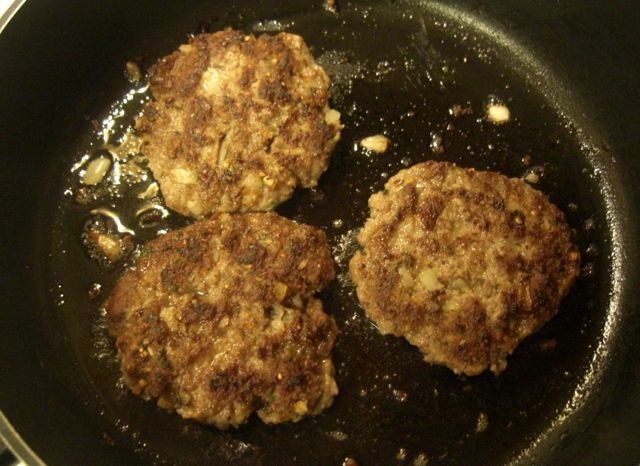 We either use ground turkey or ground beef, as they both make an equally amazing burger. 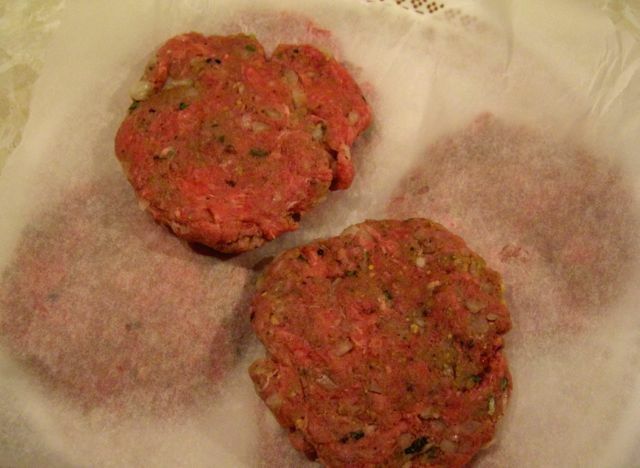 1lb of either meat usually makes 6 burgers, with each patty being about 3 oz. I make homemade buns to go with them, and I love the smell of hamburgers frying and buns baking at the same time. Smells like joy. John is the patty maker in our house, so all credit for these yummy bugers goes to him. 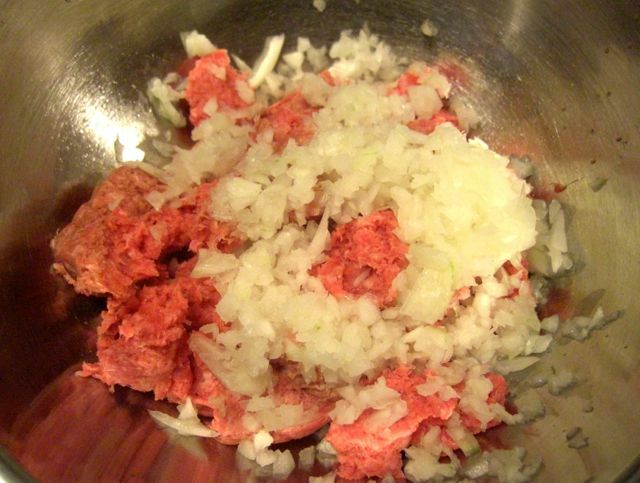 First, break up the meat into a large bowl. Add some chopped onions. 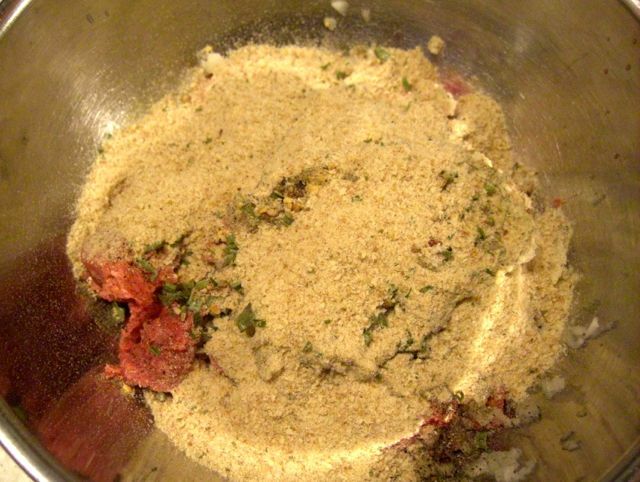 Next add spices: garlic powder, chives, pepper, and Montreal steak spice. 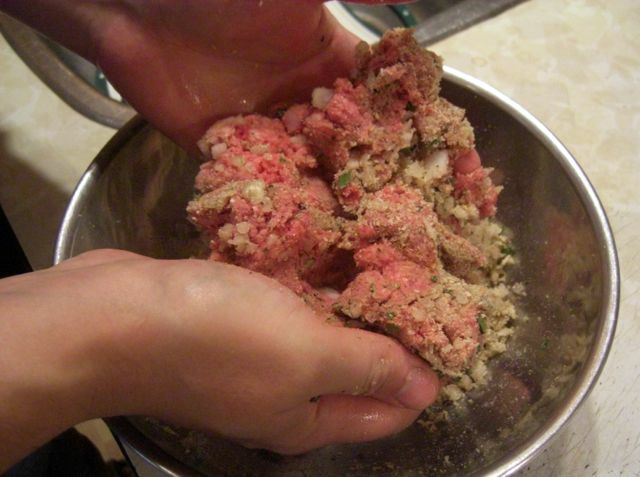 Mix with your hands to get to proper burger patty consistency. Fry in pan, flipping once, until juices run clear. 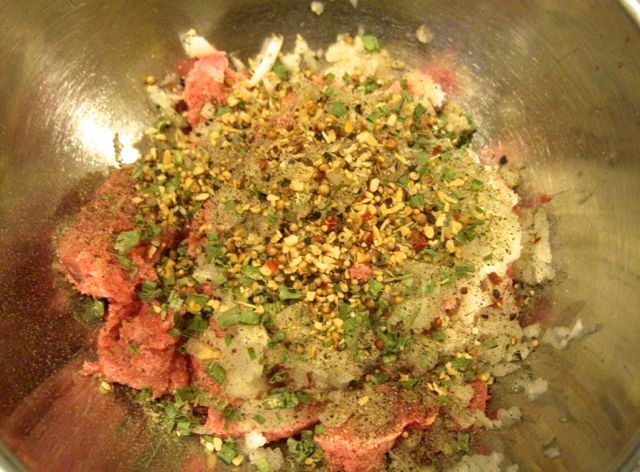 Cook some burger toppings if so inclined. 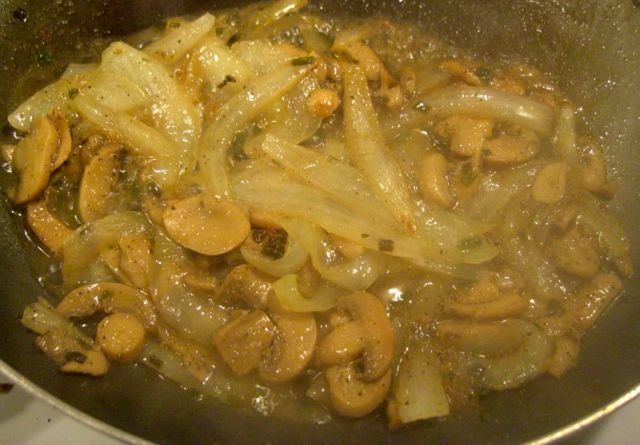 We fried up some onions and mushrooms. Dress burger to taste and enjoy! I added feta to mine and it was burger bliss. 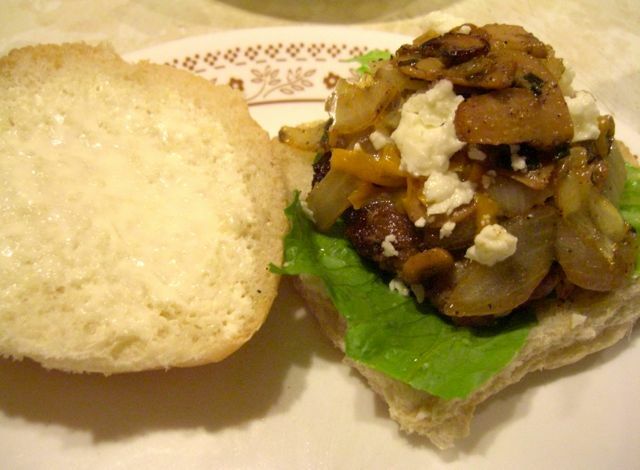 I really enjoy mushrooms on a burger. And onions. And onions on steak. Yum.